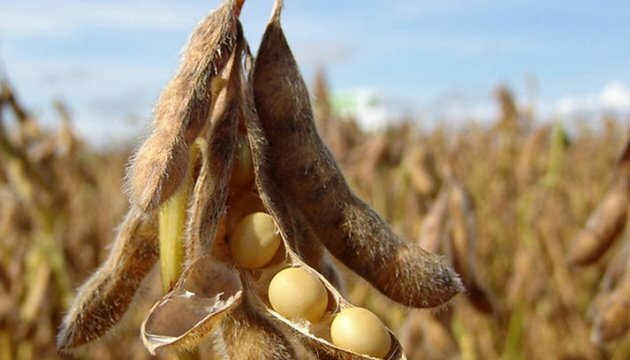 The Ukrainian Agrarian Policy and Food Ministry is planning to promote an increase in soybean production output by expanding the sowing areas of soybeans. Ukrainian Agrarian Policy and Food Minister Taras Kutovyi has stated this at the opening of the 'Soybeans and Their Derived Products' conference within the framework of the 7th International Exhibition 'Grain Technologies 2017', the ministry's press service reports. “In fact, soybean production has increased by 20 times over 10 years, and last year we harvested the record yield of soybeans, which is more than 4 million tonnes. The Ukrainian Agrarian Policy and Food Ministry will expand the sowing areas for soybean growing,” Kutovyi said. According to him, the introduction of advanced technologies in organic farming moved soybean production to the new level. In addition, the ministry's cooperation with leading soybean producers will enable Ukraine to enter the new markets of soybean exports.